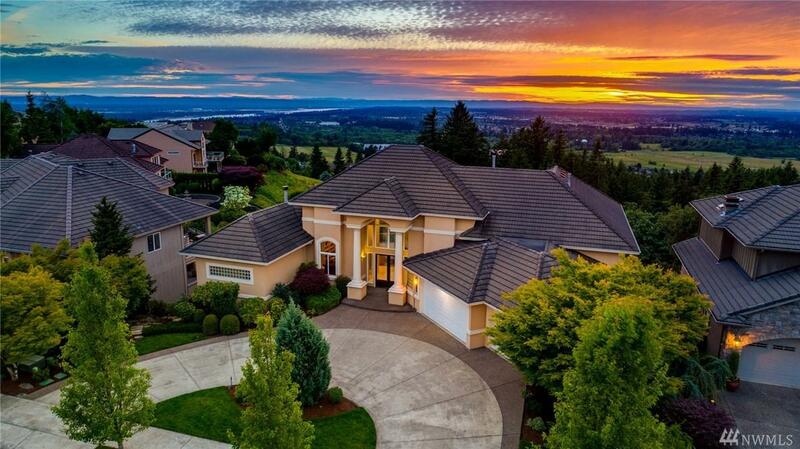 Grand home in sought-after nbhd w/ spectacular views. 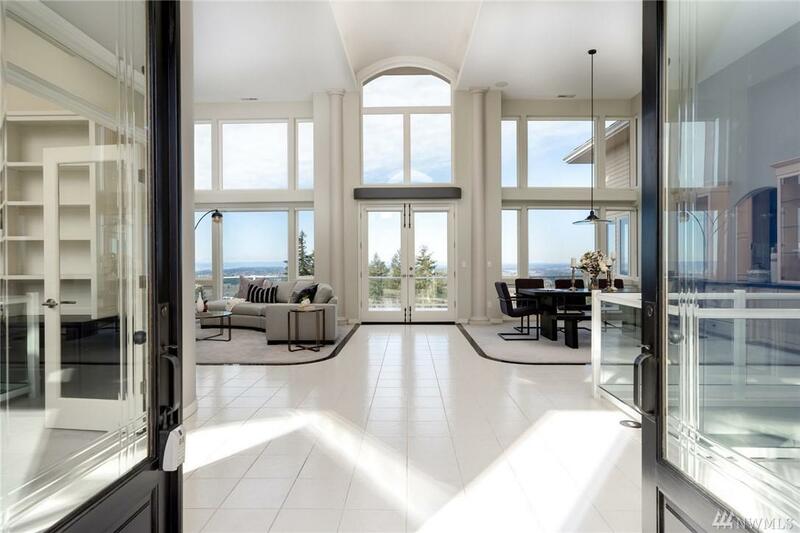 Modern design, gleaming tile, high ceil, lrg windows. Decks on 2 levels. Home off w/fp, open LR/DR w/ w2wc & marble highlights. 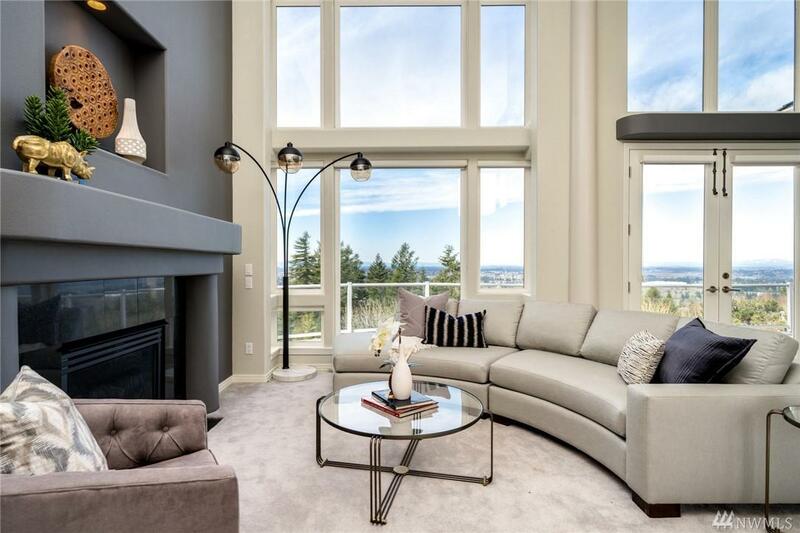 Large gourmet Kit shares open plan w/ Family Rm, w/ gas fp & large TV w/ custom surround sound. New ss double-oven & dw, large cooking island w/ seating. Technical details & luxe finishes. Master Suite on Main. 3 BRs on lower, w/ deck access & large Bonus Room w/ wet bar. Custom wine storage room. Great schools!